2015.01 ~ Pipaldanda School Furniture On Its Way! 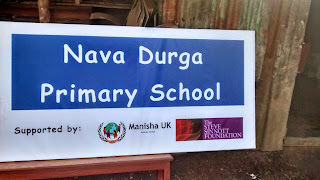 Things are certainly progressing at Nava Durga Primary School in Pipaldanda and the finishing touches are starting to be applied. In the slideshow below, you can see the brand new school sign ready for delivery and you can also see a local carpenter making the furniture for the schools. The typical delivery service shown here is a long way from "white van man"! This robust, wooden furniture includes comfortable benches and tables. As with many other schools in Nepal, tables are a new concept for Nava Durga and will enable the teachers to be far more creative in their lesson planning as they are putting into practice some of the new teaching techniques they have been learning on the Manisha UK Teacher Training days.